(i-Site) consists of a number of keen and passionate locals employees who can assist you in any manner of bookings. 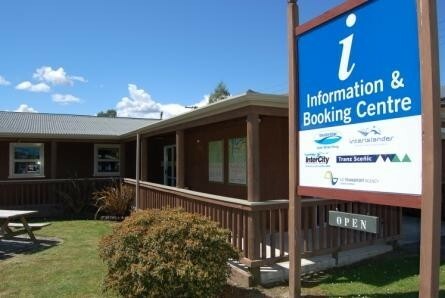 Whether you need to book a bus, flight, Picton to Wellington Ferry or one of our many local attractions, activities or accommodations we can assist with helpful relevant local knowledge and recommendations. We can assist in chartering helicopters for a day trip from Murchison to the glaciers or to sight see our stunning region. No problem is too big or too small for us to assist with. Our aim is to make your visit to our town the VERY best that it can be. So whether you have a specific question, or just want to chat, pop on in and talk to our friendly team today.